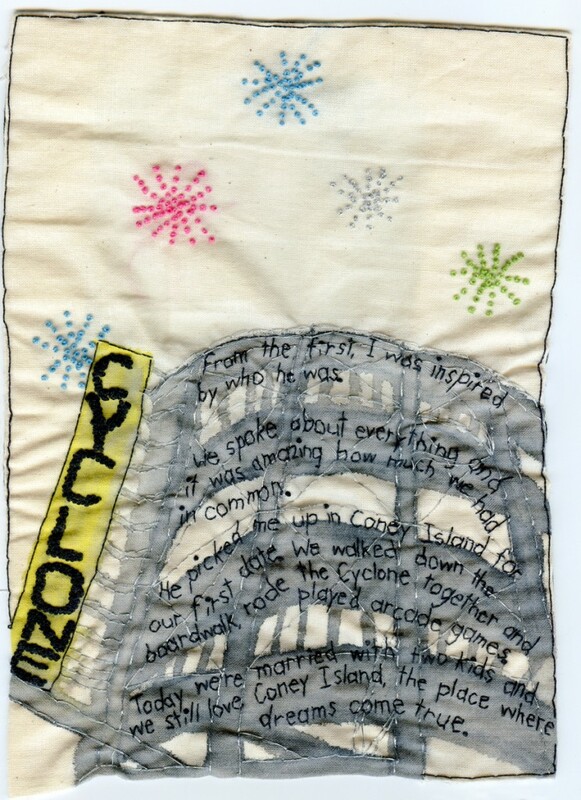 “Cyclone (also Coney Island, where dreams come true).” 2011. Part of the Brooklyn Love Exchange. Embroidery and watercolor on fabric. 8.75×6″.